After time away from the blog, I’m back to let you know I’m THIS close to winning this thing we call National Novel Writing Month. I’ve been writing off and on this week while on my Thanksgiving vacation, all the while navigating my holiday duties. There have been choir rehearsals and games of Scrabble with Mom where words related to the holiday get triple the points. My bestie and I also had two back-to-back writing days, which helped catapult my word count much further that it might have been otherwise. She’s managed to win already, by the way, while spending a couple of days at her in-laws to boot. So yay for Meagan! Not to be outdone, I booted up the laptop, got out my lap desk and outline, and got to work. Okay, yes, perhaps I got a little distracted by the movies playing on the free preview weekend premium channels in the background. I still managed to crank out 3,168 words during today’s session, which was more than half of what I had left to write. 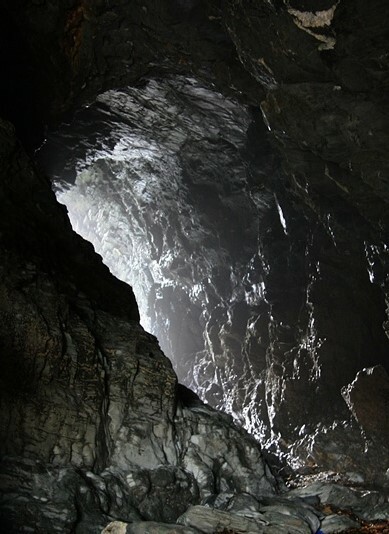 So I leave you with an image of Merlin’s Cave where my characters went adventuring today, and words of encouragement for any of you who aren’t quite as far along. Don’t give up! I know I’m not going to, especially when I can see that winner’s circle so close in the distance. Even if you’re a little farther away from reaching that elusive 50,000 mark than I, each and every word you write is one step closer to getting there. Trust me. Even if you haven’t finished your book, and it’s looking like this will be the third year in a row on this one with “the end” still a ways off, keep writing. We’ll get there I promise! It’s great when you’re close enough to see the finish line! Hey there. Yes, you. You should be following this blog. Psst. Enter your email address to follow this blog and receive notifications of new posts by email.